When teammate Ronaldo Romero passed away in May 1990, teammate and former roommate Brian Evans took the time to reflect on the whole situation, according to The Spartanburg Herald-Journal. Romero collapsed in the dugout during a game and was pronounced dead at the hospital 90 minutes later. "It puts baseball into perspective," Evans told The Herald-Journal. "Everyone wants to do their best and it shouldn't be that important. Little kids play this game and you should worry about a lot more important things than baseball." Evans was in his third season as a pro that year with Gastonia. Though he pitched well, it was his final season. 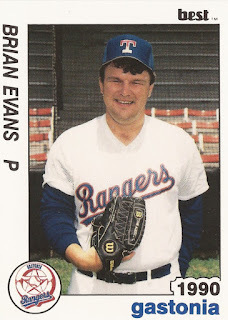 Evans' career began in 1988, taken by the Rangers in the 39th round out of Jacksonville University. 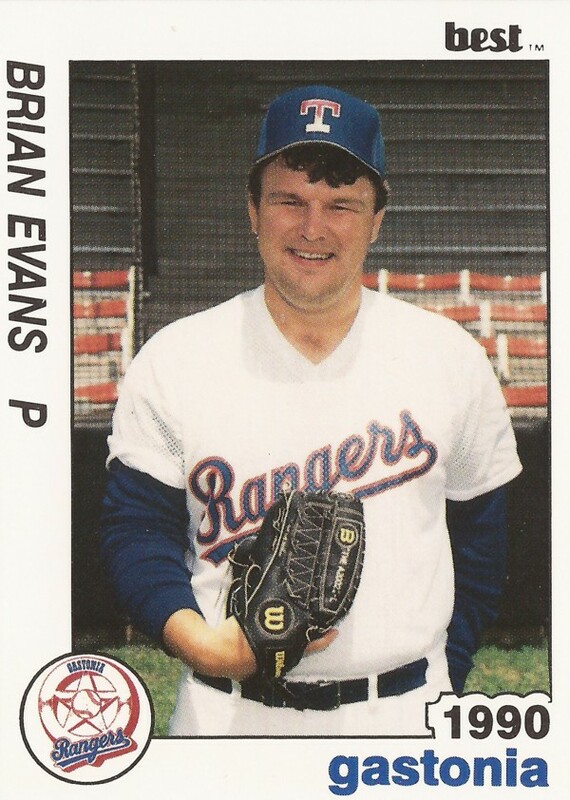 Evans joined the rangers after a good run at Jacksonville. His ERA there in 1988 came in at 1.19. He also picked up six saves and was named conference Rookie of the Year. He first hit the field as a pro at single-A Gastonia. In 20 relief outings, he went 2-2, with a 2.64 ERA. Evans moved to single-A Charlotte for 1989. In 49 outings, he posted a 2.05 ERA and picked up nine saves. He got a win in a July game. In early September, he went one perfect inning in a Charlotte win. He returned to Gastonia for 1990. In 57 outings that year, he turned in a sterling 1.09 ERA. He also picked up 17 saves. Despite his numbers, he isn't recorded as returning for 1992.